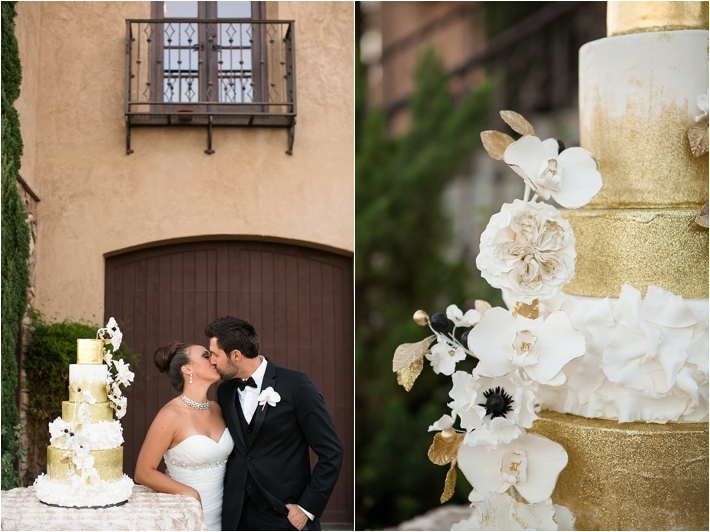 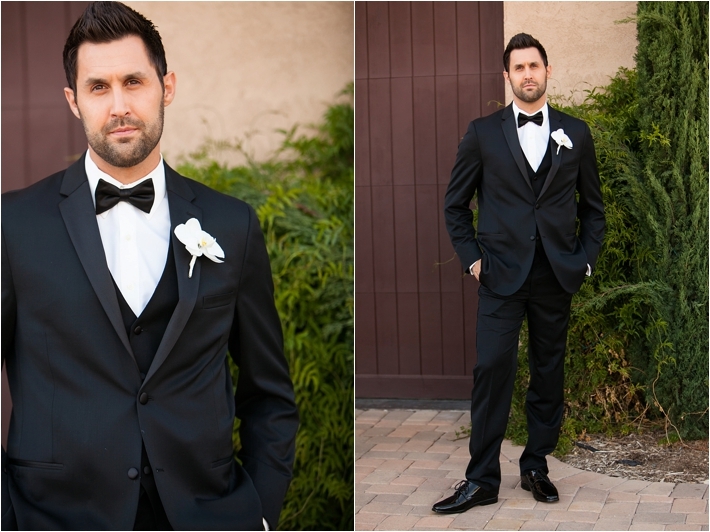 When I saw the images from shoot shared by two of SCB's talented top wedding vendors, Michelle Garibay Events and RooneyGirl BakeShop, I just knew I had to feature it on SCB. 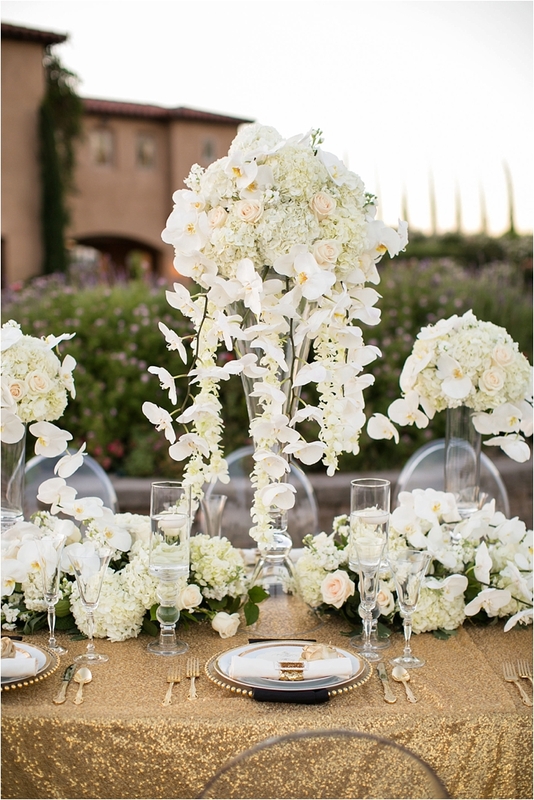 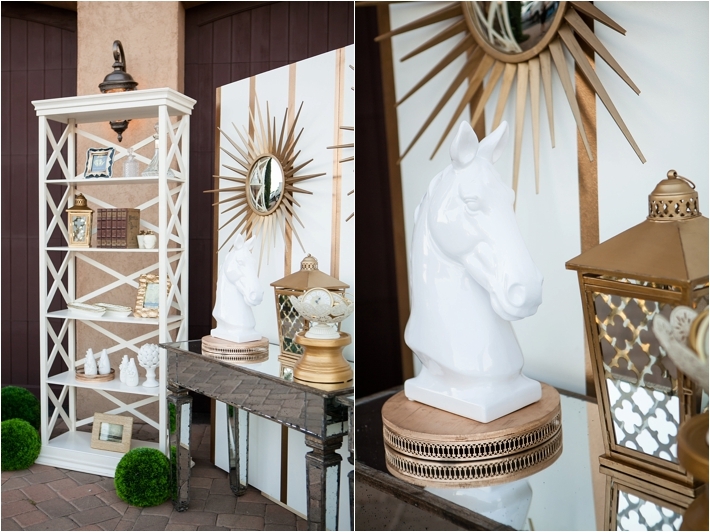 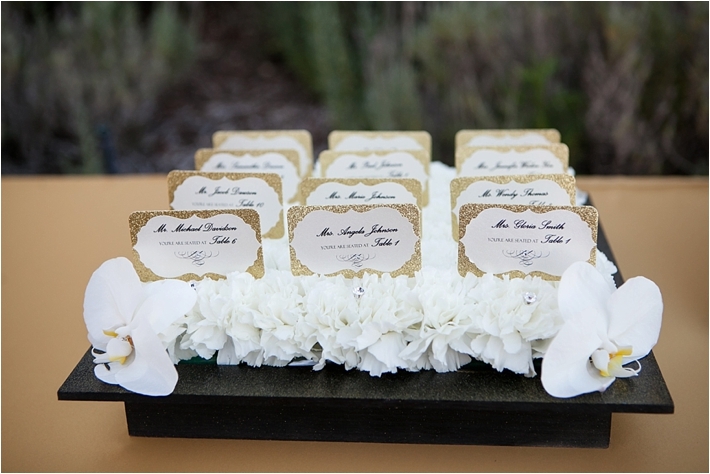 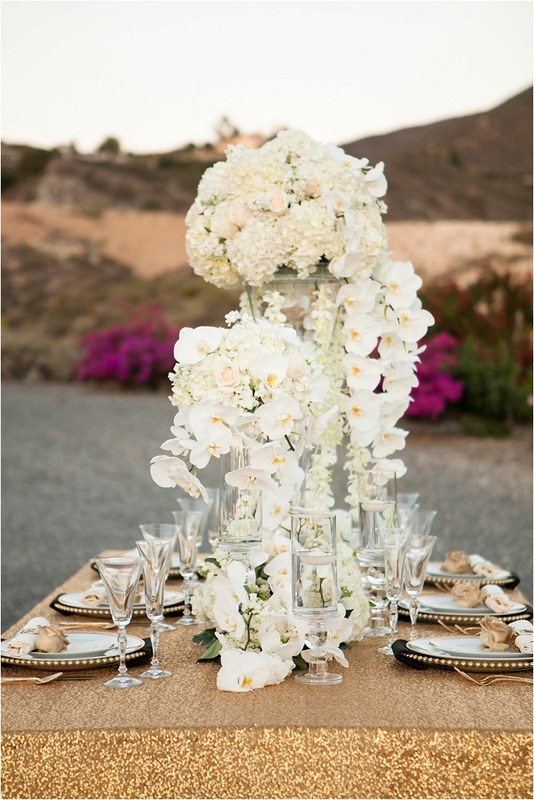 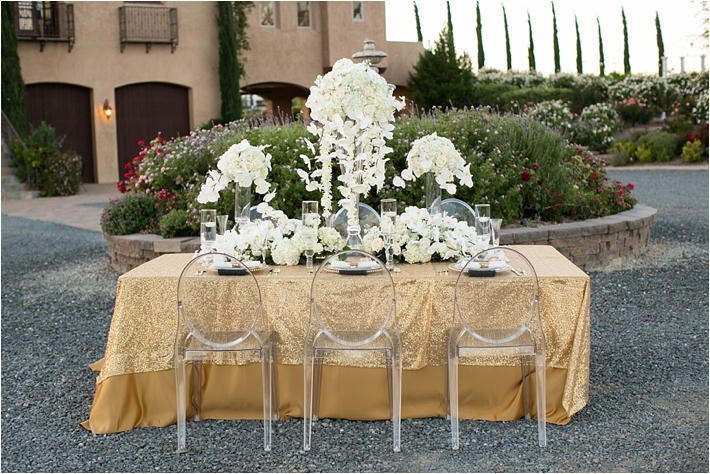 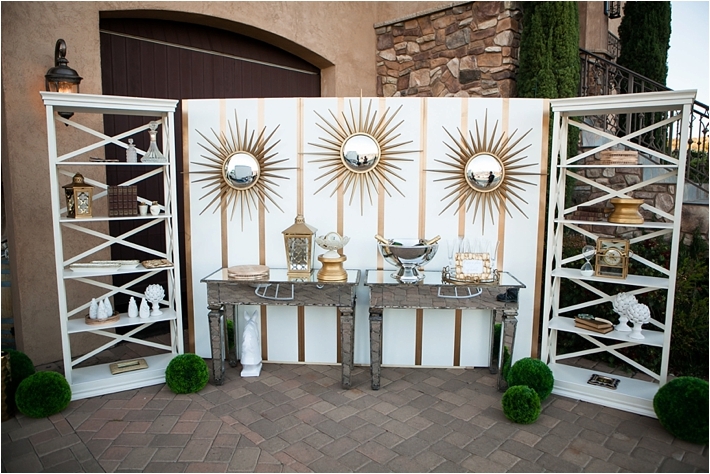 The table elements have been previously featured in San Diego Style Weddings Magazine, so be sure to check it out if you have a chance! 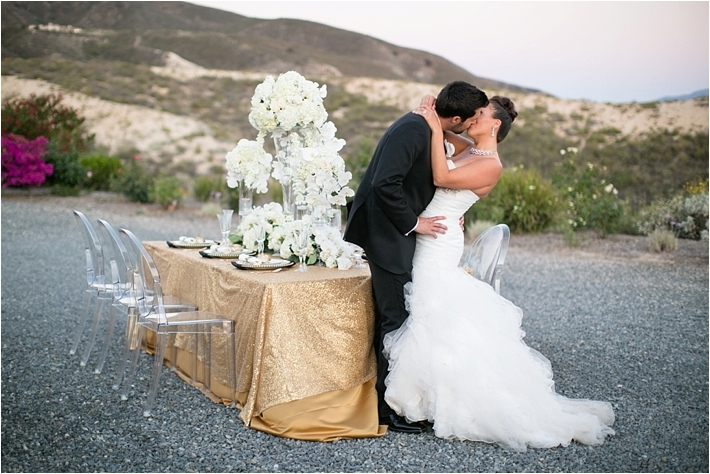 What I love most about SoCal is you have so much all within driving distance. 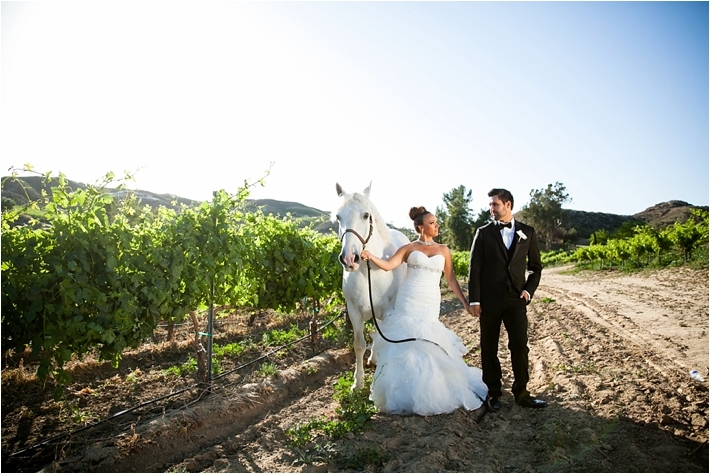 You've got your mountains, the desert, the beach, and you've even got your vineyards. 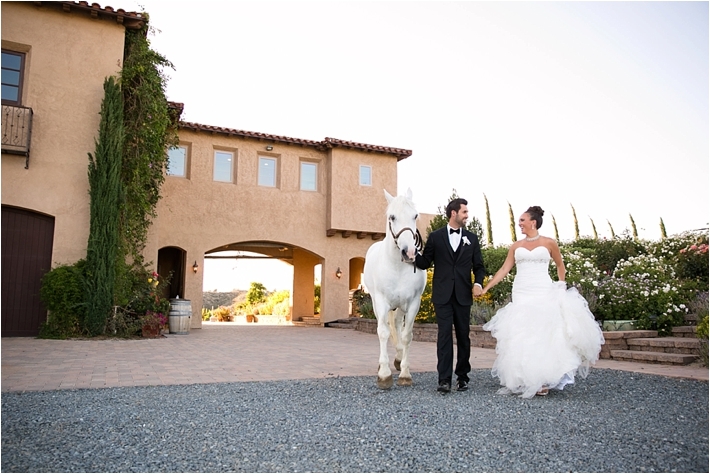 All these places have gorgeous venues so there is something for everyone. 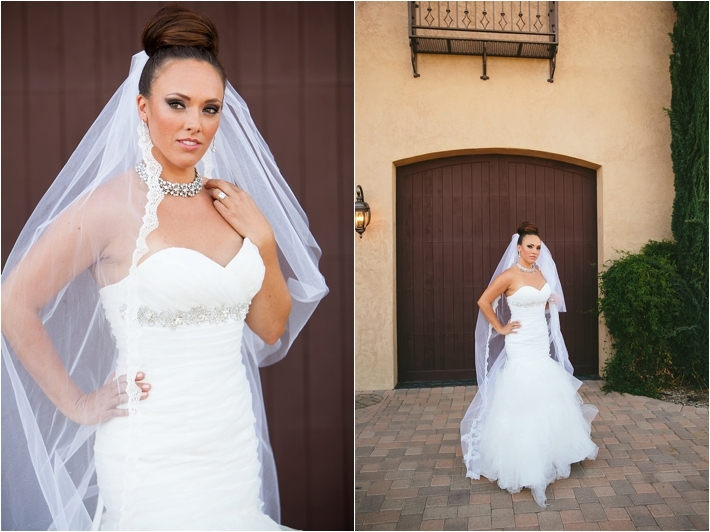 I totally love what Leah Marie Photography along with Michelle Garibay and their team did with this shoot. 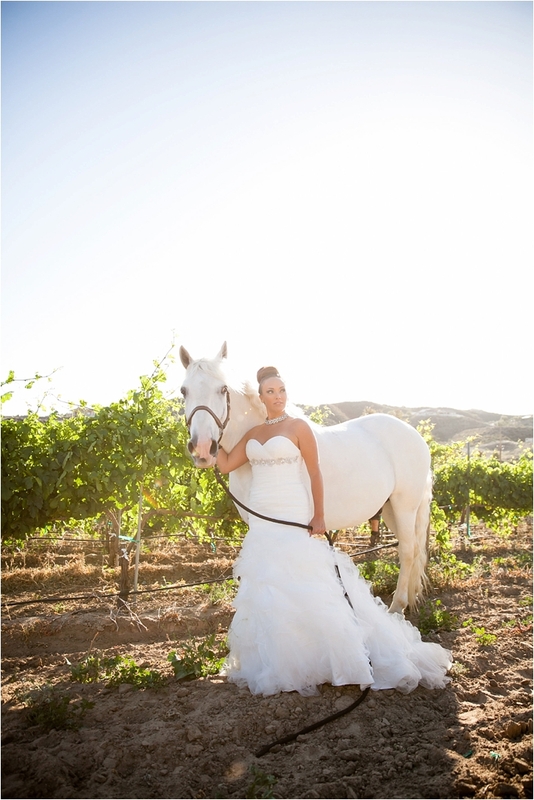 She showed us that vineyard weddings don't have to be vintage or rustic in theme. 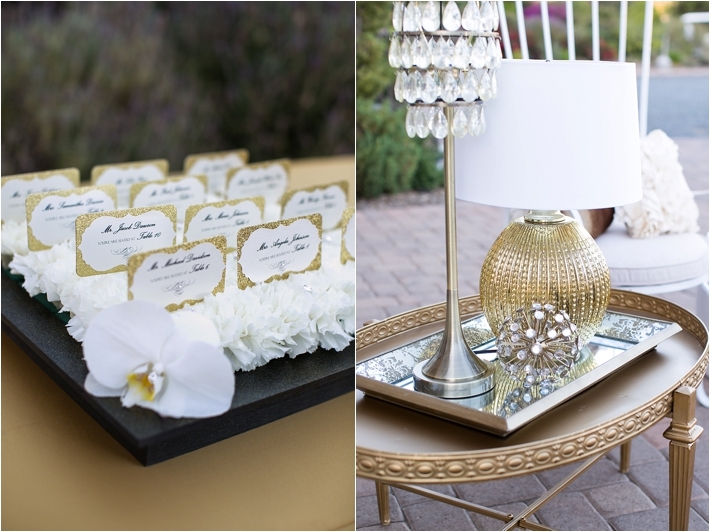 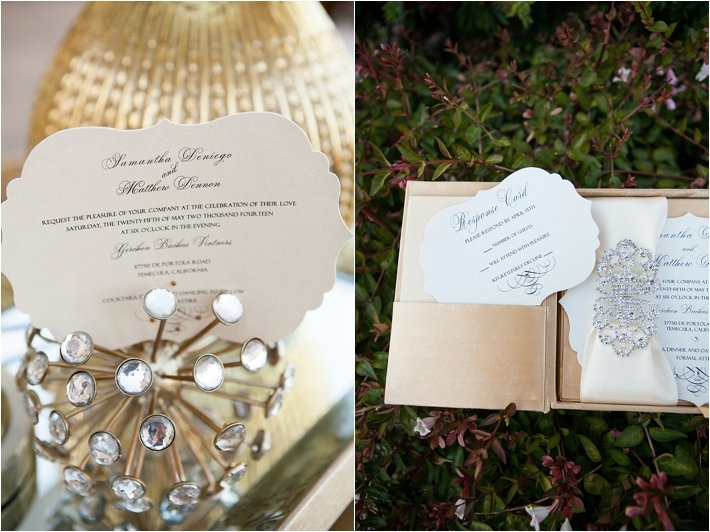 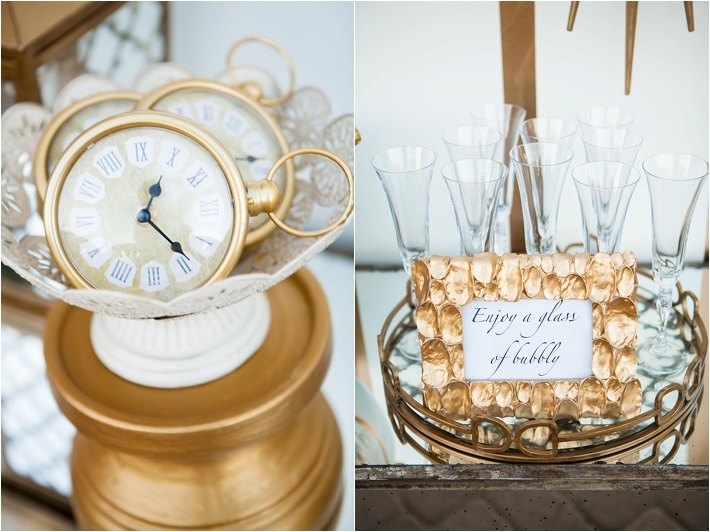 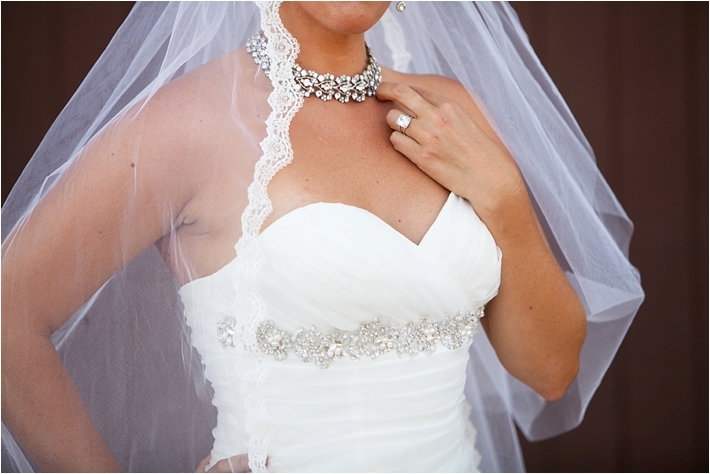 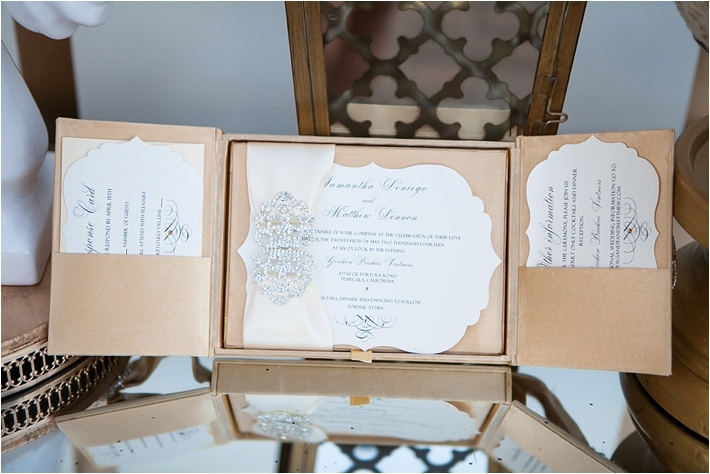 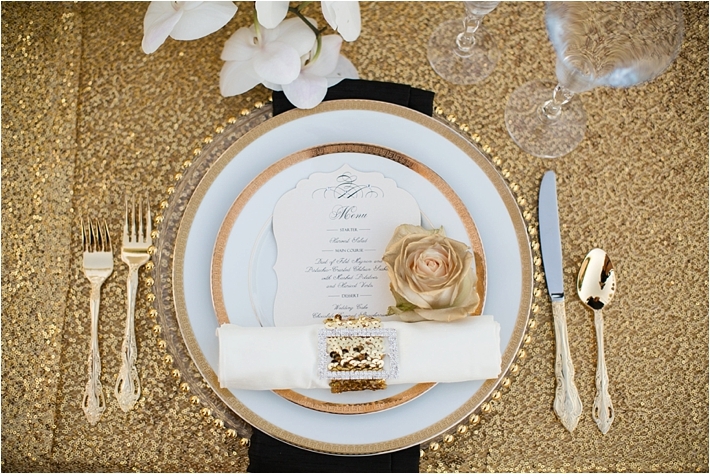 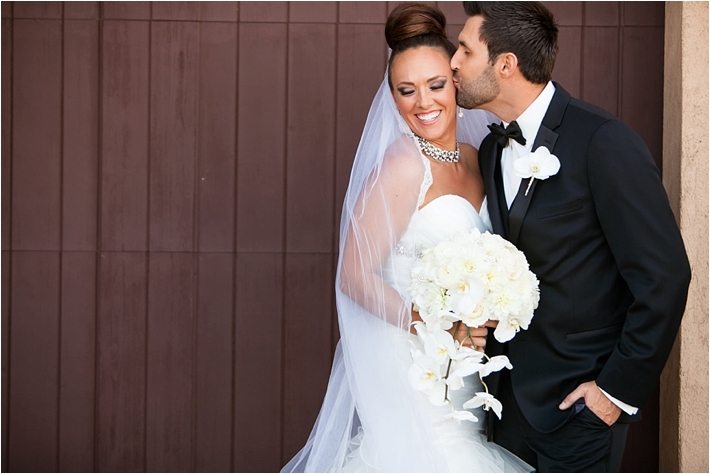 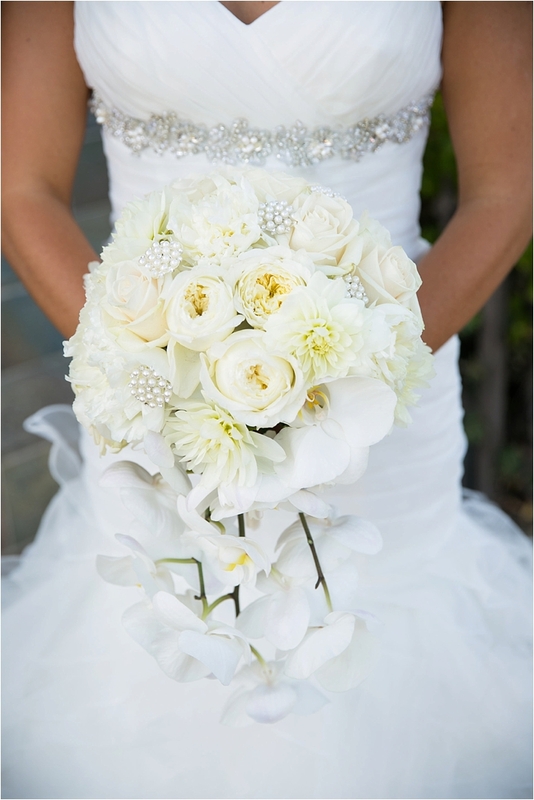 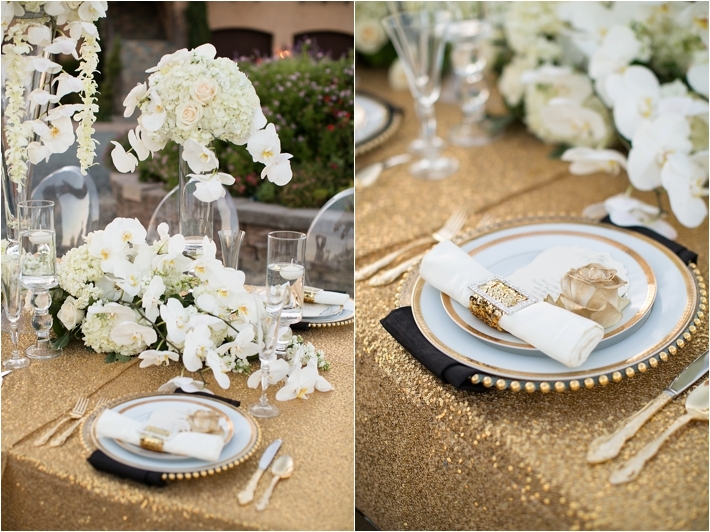 They can be elegant and luxurious - just like this shoot and I love that so much! 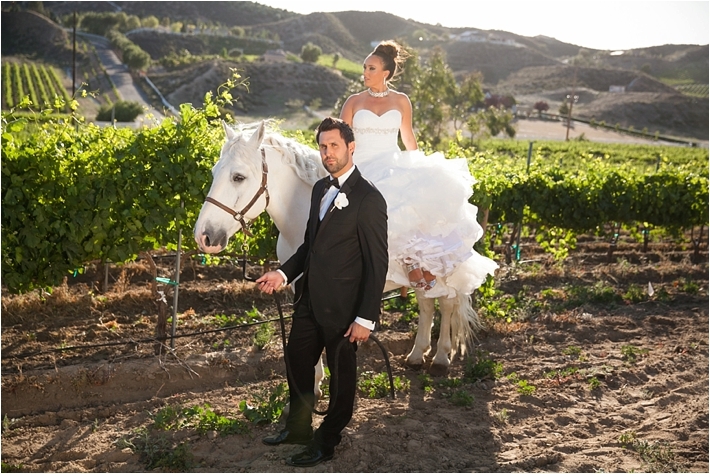 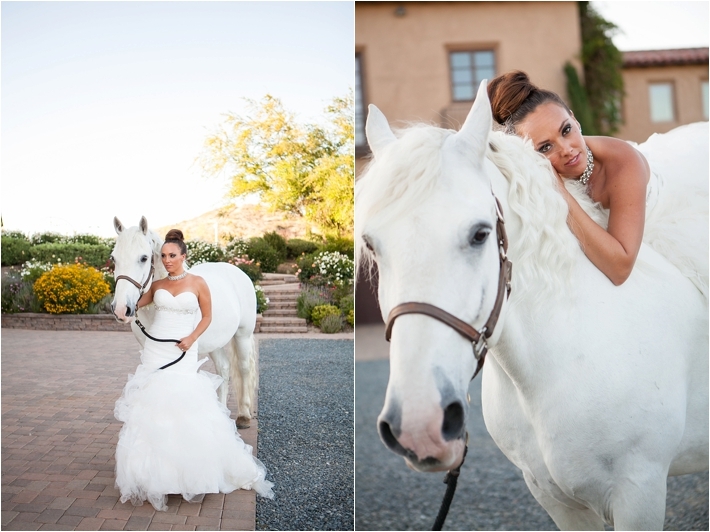 About the shoot: The inspiration behind this shoot is the premise that the Temecula wine region is more than just wine or rustic-themed weddings. 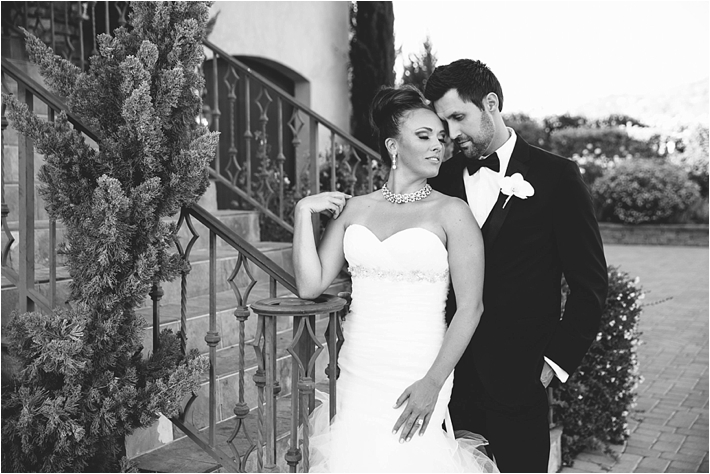 The destination has shown tremendous growth – in appeal and overall offerings - attracting a more trend-setting couple who wants a boutique feel, an amazing food and wine experience and exceptional service. 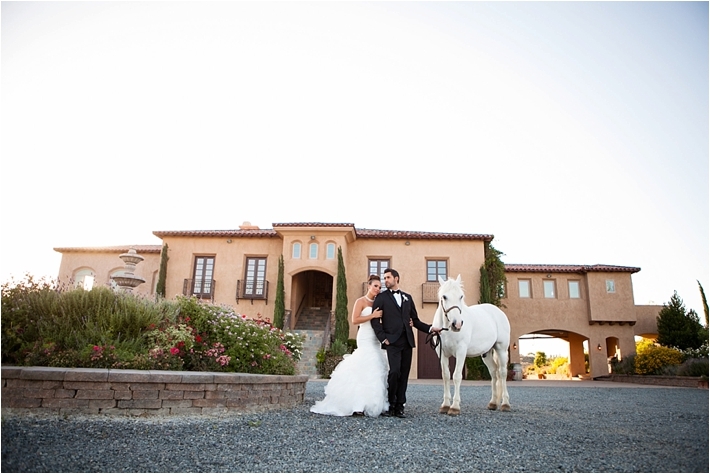 Exclusive wine country estates are the perfect backdrop for a personalized and lavish wedding with no detail left out - an over-the-top invitation sets the tone for the event, an elegant estate, sweeping panoramic views, a beautifully hand-crafted cake, an inviting champagne lounge, luxurious linen and lush, dramatic florals - top it off with a regal horse and a luxury getaway car and you have an unforgettable experience for all of the senses. 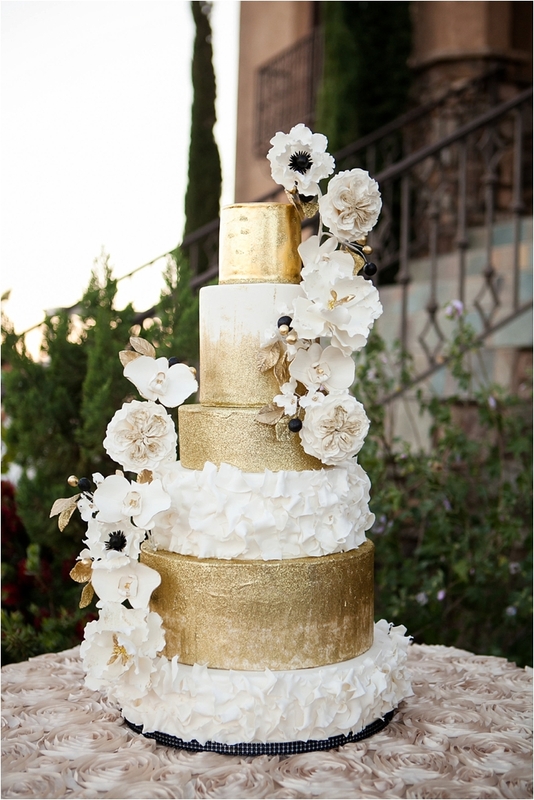 Michelle Garibay Events and RooneyGirl BakeShop are members of our Top Wedding Vendor Guide.